Just one of two ‘new’ albums that were released after the original top 40 list was collated, the global success of Ed Sheeran has been one of the biggest musical breakthroughs of the last decade. Unlike the many other UK acts that have made waves across the Atlantic, Ed was one of the few who managed to both improve upon his debut album, but also take his success to new heights. x is much more than a retread of +, which I personally found quite a dull listen despite the huge success it saw over here, it’s full of commercial hits that utilize the best parts of his self asserted Pop/Acoustic/Hip Hop style. Sing was the moment many naysayers were convinced, thanks in part to king of number 1 hits Pharrell. Don’t take things to a new level, with cutting verses that explicitly calls out previous beau Ellie Goulding for cheating with the catchiest chorus on the album. x is still primarily the sort of guitar led ballads that he made a name on, Afire Love and Photograph being the two that stick out as the sort of tracks that would have girls across the UK posting lyrics on their Facebook wall. Even missteps like the original album cut of Bloodstream which sounds so disappointing following the infinitely better Rudimental produced remix on the single version, as well as the ill-advised turn of rap on The Man aren’t enough to make this a poor listen. Even for someone like me who was sick of Ed Sheeran before 2014 I was convinced, with the most obvious converted being modern pop classic Thinking Out Loud. A song that has pretty much revitalised the ‘Let’s Get It On’ first dance genre, it’s so easy to feel superior to Thinking Out Loud, but it’s even easier to just enjoy it for what it is. Much like the rest of x, these days it’s better to just enjoy Ed Sheeran, hating him has become hard work when there’s this many decent songs. Will I listen again? : Probably not the whole album, but knowing my way with acts I used to ‘dislike’ I’ll probably end up seeing Ed live or something. Best Track: Thinking Out Loud is the obvious choice here, part of me wants to go for Don’t, but there’s no denying that inescapable hit. 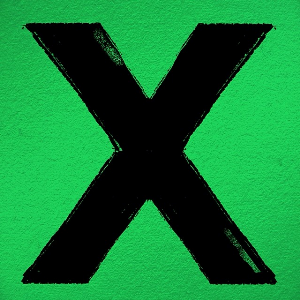 Tags: Ed Sheeran, The UKs Greatest Hits, x. Bookmark the permalink.